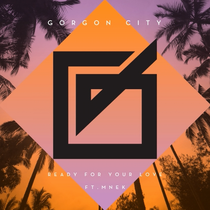 Gorgon City's latest single ‘Ready For You Love’ received its first exclusive play on R1 recently as Zane Lowes' ‘Hottest Record in the World’ and features the vocal talents of MNEK who co-wrote the track with Matt and Kye. 'Ready For Your Love' is a track that further establishes Gorgon City’s ability in capturing top performances from their collaborators. MNEK’s soaring soulful delivery marries perfectly with the duo’s signature production touches, bringing together the beatific agility of two-step with the gravity and resonance of deep house, dropping into an instantly addictive chorus hook. We're liking this a lot and with a plethora of mixes to choose from, this looks set to be another huge club track. Check it out below.